Technology and changing customer demographics have set a new stage for retail. Success today is defined by the ability to keep up, or get out in front of, trends that are driving consumer purchases. To help retailers and brands understand how changes will impact their business, Shop has charged a new Future of Retail Task Force with defining the trends shaping retail. Focusing leaders of the industry’s talent pool on retail’s future enables the association to serve as a leading resource for industry decision makers. The association’s membership includes some of the brightest, most creative, and forward-thinking professionals in the retail environments industry. With six operating councils, each comprising 12 members, the association staff receives expert insight directly from more than 70 members on an ongoing basis. By pooling the talent of these leading professionals, the task force can use each others’ research, experiences, and knowledge to identify and explore the most important trends shaping the future of retail. Volunteers from the Creative, Producer, Research, Education, Global, and Industry Future councils serve on the task force. These members represent a diverse set of retail products and services, from store design to fixtures and POP to visual merchandising. Their collective global representation includes the U.S., Canada, Benelux, and Russia. The diverse composition assures a wholistic viewpoint of what is shaping retail here and across the globe. The first step was for each task force member to brainstorm top trends impacting their retail clients. After roughly four weeks of individual brainstorming, a subgroup of the task force met face-to-face at GlobalShop in Chicago in March. After discussing the 200-plus trends that had been identified by the entire task force, the subgroup individually ranked their top 10, and each presented arguments for their selection. The trends were then narrowed down to those deemed most impactful to the retail environments industry in the coming three to five years. This final list was sent back to the entire task force and agreed upon. There is and will be a need for more adaptable, fluid, and flexible store environments. This will allow for continuous improvement following retailers’ regular test and learn cycles centered on validating and enhancing customer experiences. The focus will be on efficient rapid prototyping, best practices for improving the design-manufacturer-test-learn process, and the concept of changing a store prototype to a store morphotype. AI and Big Data are being integrated in all aspects of our lives and advancing at a quicker pace than ever. Retailers need to understand how to capitalise on this trend, from defining retail store assortment and inventory to accelerating the pace of customer experience enhancements. Shop will also research how customer behavior has been altered by e-commerce and how these new behavioral practices (categorisation/sorting/neuromarketing) could be leveraged by brick-and-mortar retail. With the growth of online retailing, some questioned whether it spelled the demise of brick and mortar. 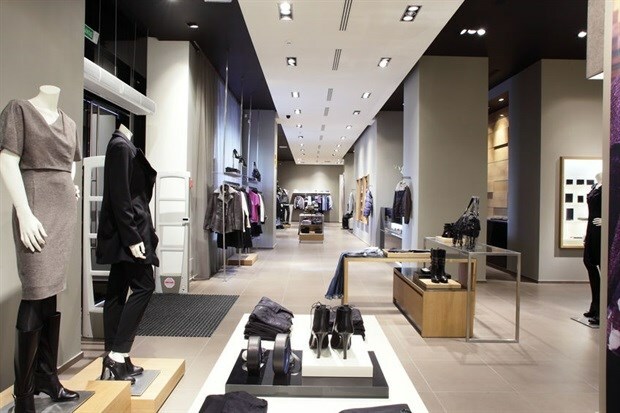 The obvious answer became no, as we see continuous growth of physical retailers and countless examples of online retailers opening offline stores to achieve greater success and exposure. The key to successful retail growth of any kind is the customer experience. Shop will share in-store trends and ideas that will help association members proactively provide retailers products and services that will optimize the customer experience. Hyper-personalised marketing and branding, gamification, localised product and services curation, co-creation of product by consumers, and social connectivity are a few ways that the retail industry is evolving to serve the changing consumer. Advances in technology speed up this process and will certainly impact retail developments within the next few years. Life decisions such as where to work, live, and consume are being influenced by personal beliefs, interests and lifestyles. Retail and brand visions and missions are recognising this and integrating purpose-driven characteristics into their strategies to serve loyal customers. By better understanding this trend, Shop members can better provide products and services that tie into specific retailer needs. Many retail leading companies are creating innovation labs and think tanks because they know the importance of working with suppliers and customers up and down the value channel. Establishing standards and removing barriers will be more important in the fast-changing retail environment. Shop! will focus its resources in these areas, and you will see expert insights in our publications, on-site events, webinars, podcasts, and more. The top trends shaping the future of retail will be presented by international speakers in June at Global shop in Chicago and will be a topic at our two meetings in September on the 17th & 18th in Johannesburg! 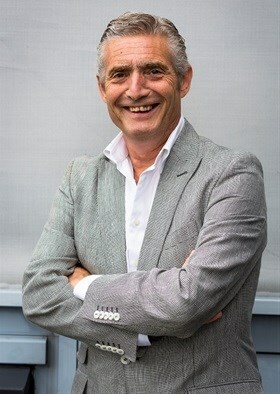 Leo Van De Polder is the Global Development Director at Shop! Association.